Deus ex machina are supposed to reveal truths of the world, not leave it covered in darkness. Which is why this film is rather prophetic, and should probably be in the queue for monthly consumption, at a minimum. Mamoru Oshii is a Japanese director and screenwriter. He has directed a ton of anime films and television shows, including Urusei Yatsura, Red Spectacles, Ghost in the Shell, Avalon, and Patlabor 2: The Movie. His directorial style has often been detailed in how different it is to most films made in the United States, with visuals being the most important element to him, followed by story, and then characterizations. The Wachowskis and James Cameron have been in awe of his work for decades, especially with Ghost in the Shell, so I thought it fitting to time my review of the original film with the release of the live-action remake. Because, well, it’s even more relevant today than it was 20+ years ago. In 2029, with the advance of cybernetic technology, the human body can be “augmented” or even completely replaced with cybernetic parts. Another significant achievement is the cyberbrain, a mechanical casing for the human brain that allows access to the Internet and other networks. An often-mentioned term is “ghost”, referring to the consciousness inhabiting the body (the “shell”). Major Motoko Kusanagi (Atsuko Tanaka) is an assault-team leader for the Public Security Section 9 of “New Port City” in Japan. Following a request from Nakamura (Tessho Genda), chief of Section 6, she successfully assassinates a diplomat of a foreign country to prevent a programmer named Daita (Mitsuru Miyamoto) from defecting. The Foreign Minister’s interpreter is ghost-hacked, presumably to assassinate VIPs in an upcoming meeting. Believing the perpetrator is the mysterious Puppet Master (Iemasa Kayumi), Kusanagi’s team follows the traced telephone calls that sent the virus. After a chase, they capture a garbage man and a thug. However, both are only ghost-hacked individuals with no clue about the Puppet Master. The investigation again comes to a dead end. Megatech Body, a “shell” manufacturer with suspected close ties to the government, is hacked and assembles a cybernetic body. The body escapes but is hit by a truck. As Section 9 examines the body, they find a human “ghost” inside its computer brain. Unexpectedly, Nakamura arrives to reclaim the body. He claims that the “ghost” inside the brain is the Puppet Master himself, lured into the body by Section 6. The body reactivates itself, claims to be a sentient being and requests political asylum. After the Puppet Master initiates a brief argument about what constitutes a human, a camouflaged agent accompanying Nakamura starts a diversion and gets away with the body. Having suspected foul play, Kusanagi’s team is prepared and immediately pursues the agent. Meanwhile, Section 9 researches “Project 2501,” mentioned earlier by the Puppet Master, and finds a connection with Daita, whom Section 6 tries to keep from defecting the country. Facing the discovered information, Daisuke Aramaki (Tamio Oki), chief of Section 9, concludes that Section 6 created the Puppet Master itself for various political purposes. This is why Section 6 is desperately trying to reclaim the body. Kusanagi follows the car carrying the body to an abandoned building. It is protected by a large walking tank. Anxious to face the Puppet Master’s ghost, Kusanagi engages the tank without backup and is nearly killed. Her partner Batou (Akio Otsuka) arrives in time to save her, and helps connect her brain to the Puppet Master’s. The Puppet Master explains to Kusanagi that he was created by Section 6. While wandering various networks, he became sentient and began to contemplate his existence. Deciding the essence of humanity is reproduction and mortality, he wants to exist within a physical brain that will eventually die. As he could not escape section 6’s network, he had to download himself into a cybernetic body. Having interacted with Kusanagi (without her knowledge), he believes she is also questioning her humanity, and they have a lot in common. He proposed merging their ghosts, in return, Kusanagi would gain all of his capabilities. Kusanagi agrees to the merge. Snipers from Section 6 approach the building, intending to destroy the Puppet Master’s and Kusanagi’s brains to cover up Project 2501. The Puppet Master’s shell is destroyed, but Batou shields Kusanagi’s head in time to save her brain. As Section 9 closes in on the site, the snipers retreat. “Kusanagi” wakes up in a new cyborg child body in Batou’s safehouse. She tells Batou that the entity within her body is neither Kusanagi nor the Puppet Master, but a combination of both. She promises Batou they will meet again, leaves the house and wonders where to go next. For me, it’s tough not to watch this movie and be reminded of The Matrix. I had the unfortunate experience of watching that movie a great many years before this classic, and the repeated viewings of The Matrix trilogy over the years haven’t helped either. And so, the story is a familiar one, exploring self-identity as we relate to machines in a time when humans and machines have become interchangeable. God praise the internet, amirite? And the timeline is not that far away either, in both the film and reality. Consciousness, humanity, autonomy, empathy, and mortality are all explored in a relatively short hour and twenty-some minutes. In a time when international corporations have basically done away with national identity too.The ghost in the shell is literally a play on the wandering consciousness that inhabits the meaty husk, and it wants to know if we hear it’s voice. Pros: Visually compelling and with a message which has allowed it to age far better then films like Blade Runner or Total Recall, Ghost in the Shell is violent, emotional, and poetic to experience. Cons: The individual characters are difficult to warm up to, but it might just be all of the robot parts they have imbedded. Points of Interest: Motoko’s eye are intentionally animated to not blink very often, giving her a feel of a doll, rather then a human. 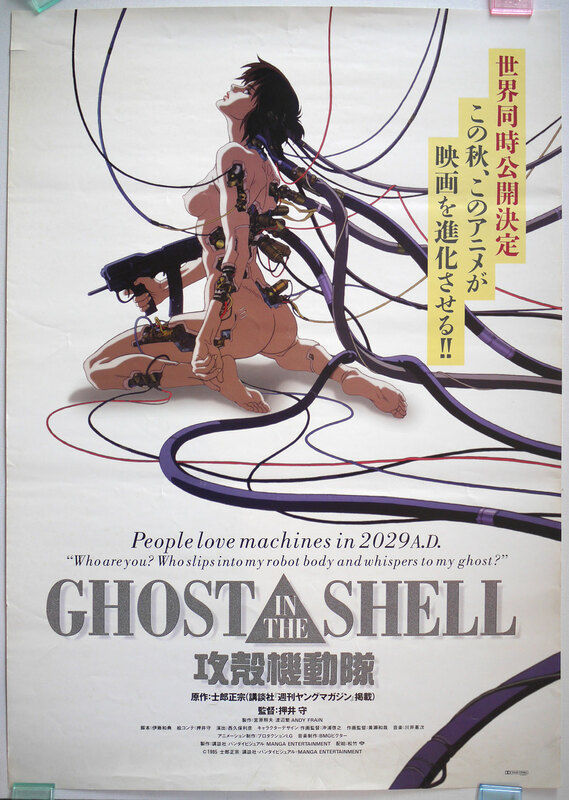 The title of the manga which inspired the film is written as an homage to the Arthur Koestler work, The Ghost in the Machine. So is the 2017 film better than the 1995 one? I’d like to think not, and not for the obvious whitewashing allusions that have been to popular on the internet over the past year or so. In fact, Mamoru Oshii has gone on record to state that the Major may or may not be Japanese, but regardless of her current appearance, her name and body have changed numerous times, and so it is in fact acceptable to have Scarlett Johansson in that role. But I think the problem is that the anime far better depicts the story at hand, and that the visuals are far more compelling with their mix of traditional drawing and CGI. The Matrix will never be the same for me. And that’s no theory. And speaking of things that The Matrix tried to wreak… Andre and I have a new Watch Culture video up for your viewing pleasure. Please tell us if you agree that Equilibrium is worth a watch, and if not, your comments are appreciated. Philosophy is a wonderful thing. Rich, compelling, and full of room to experiment, because there isn’t one world view per se. Vincent Jamal Staples, better known by his stage name, Vince Staples, is an American rapper and member of the hip hop group Cutthroat Boyz. He has also been associated with Odd Future and gained attention by making appearances on their albums as well from a mixtape he worked on with Mac Miller, Stolen Youth. Staples debut album, Summertime ’06, was already released two years ago, which is why his sophomore effort, Big Fish Theory, has a lot to say for itself and about this new renaissance of hip hop, EDM and pop. Much like his contemporaries, Kanye West, Kendrick Lamar, Drake, and Childish Gambino (who is supposedly leaving music behind), Staples is perfectly comfortable with living in the weirdness of our generation. That means producing a record which could be ethereal and amelodic or one that combines sounds of the past to propel us into the future. Big Fish Theory is the later. And I have to wonder if calling upon his previous skills as a documentarian, celebrating a self-proclaimed posthumous guardianship of Amy Winehouse, who features on Alyssa Interlude, and his hyperawareness of his own mortality/celebrity are the driving factors of Staples’ successes here or merely a perk when listening to the record. The weirdness shows throughout the whole album, and might be best demonstrated in one of the later songs, Party People. Staples raps about how you can either move to the music if it hits you right OR you can sit there in your depression swimming with thoughts and a heavy heart, after all, the world is dark for some of us. This is not your baby sisters hip hop, nor is it aunties or grandpas. These beats are different then pretty much anything I’ve ever heard, and it works well, most of the time. Not only that, but Vince Staples is happy to push his collaborators into the backdrop and have them as part of the song rather then front and centre, in fact he even pushes himself into a minor role on one of the songs. Kendrick Lamar fits nicely inside Yeah Right, an attack on the chest-puffing of most rap tracks. And there are definitely blink and you might miss it appearances from Juicy J, ASAP Rocky, Kilo Kish, Ray J, Ty Dolla Sign, and Damon Albarn. The challenges with this album come in on the structure and organization of the songs, which can be heard best when you listen to tracks like Crabs In A Bucket, Love Can Be…, and Ramona Park Is Yankee Stadium. The questions I have immediately are around the experimentation. Exploration is awesome, but do these really compliment Staples cadence and content? It’s interesting for sure to have the bird calls, sirens, and whistling winds, but where is this going? Crabs In A Bucket sets the stage for a complex album, but it doesn’t feel like his strongest work, for sure. That said, there are some really surprisingly fun tracks like 745 and Rain Come Down that intrigue despite shortcomings. Tonally these suit Staples well and the melodic choices sync up well with the speed at which he lays down his lyrics, but the best parts come from the verses and his rapping. It is an experimentation of electronic music and hip hop, the kind of thing which metal-hip hop hybrid groups of the 1990s tried to accomplish but never really pulled off. And maybe that’s because those artists were metal first and hip hop second. Vince Staples confidence is so much more convincing. Pros: Big Fish, the aforementioned Yeah Right and Party People are absolutely necessary on this album. An exploration of suicidal thoughts, the nature of hip hop, and what needs to happen next, Big Fish Theory is conscious hip hop, even if it isn’t labelled as such. Cons: Rain Come Down is a little off in its warbling and takes the album into weird territory just as Big Fish Theory ends, much like how Crabs In A Bucket has a shaky start, it’s the middle of this record that does best. Points of Interest: Influenced by house music and Detroit techno, Big Fish Theory calls up avant-garde electronica, funk, industrial music and a host of other sounds to afford Vince Staples with the creative expression he needs to transcend his environment. That Def Jam supports this sort of experimentation is fantastic, despite how discomfiting it is for most hip hop fans. 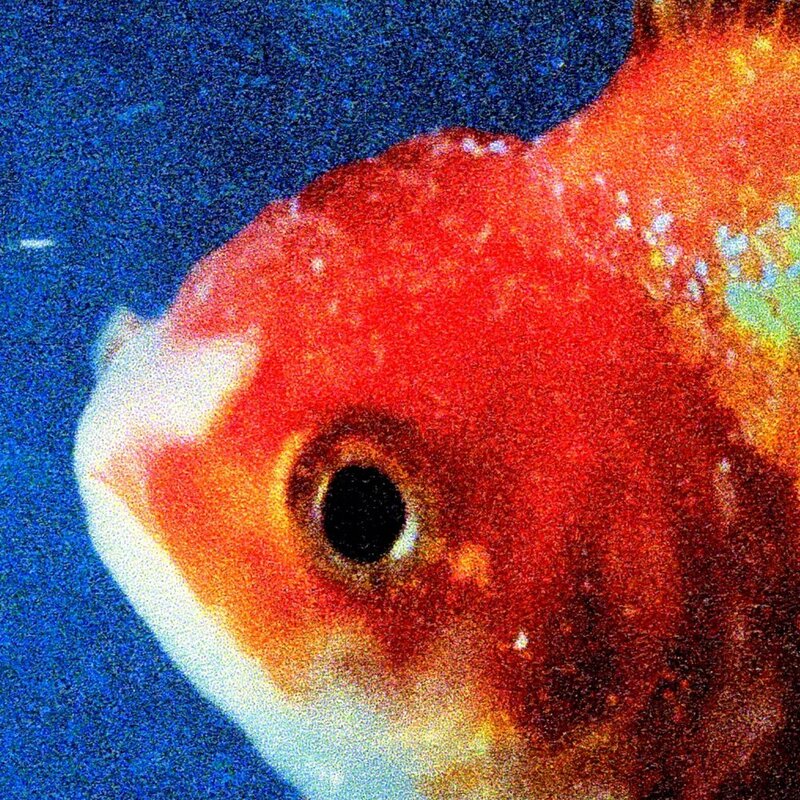 When music separates itself from it’s environment for even a second, acknowledges the world around it, and then zooms back in, it’s often a pleasing experience, and luckily for us world weary philosopher Vince Staples shared his Big Fish Theory with us. Keeping an open mind and heart is a wonderful philosophy and I hope Staples inspires other musicians to continue this trend. Yes, there will be blips in the road along the way, but how wonderful it is that we can have some good hip hop and EDM combined together for once, rather then remixes and overdubs. And that’s my personal big fish theory. What is the true meaning of good? And what is meaning of evil? People have been trying to demonstrate the qualities of these diametrically opposed concepts for millennia now. And so many different art forms try to describe the ideas as best they can, digging into the details and pulling out some great notions of what each means, and more importantly, their effects on life. If we were to look at a text-book definition of good, there are a number of aspects to filter in. For instance, the need to be desired or approved of while having the desired qualities of a higher standard. The word sacrifice is commonly featured over and over too. Ultimately this all stems from a sense of empathy, benevolence, selflessness and going beyond the superficial aspects of life to find humanity at every turn. That altruism is so very necessary in corner of good when looking at the battle of good versus evil. Evil is that much more simple. If something is profoundly immoral and wicked, often represented by or directly embodying a force of harm and undesirable outcomes. People who are evil lack empathy, acting upon their own needs and desires about all else. To be selfish in this way prevents real connections, and often leads to the suffering of many, for the wishes of the few. An inability to see the world from another perspective can be attributed to evil, but in many cases, the conscious disregard of others is all the more sickening. As always on Cross Talk, there are many fantastic examples of good versus evil in film, but we decided to dive into more details on less obvious examples. We did this to really hammer home the idea that some themes defy genre, that science fiction, horror and drama can address this just as easily as an action-adventure flick. This is episode 26 of Cross Talk. This is good versus evil, as represented in film. Not sure if you can tell from the introduction or not, but we had a lot of fun with this one as a team. And we all couldn’t help but get excited when it came to presenting our individual case studies. I mean, come on, Prince of Darkness, The Fifth Element, AND Training Day all being discussed in the same conversation? Just one of the many perks of Cross Talk. We bring the theories to you, so you can mull over the moral implications of these films too. As always it would be great to hear what you think creative cuties? Spend some time with shorter video and then please like, share, and comment on both timotheories.com and the YouTube channel. We want your feedback! Join the conversation and tell us what we’re doing right, and if you have any better examples on hand that we should have considered. And now I’m out of theories. Once again I’m off to La La Land. Not the movie, but the analogy for sleep. 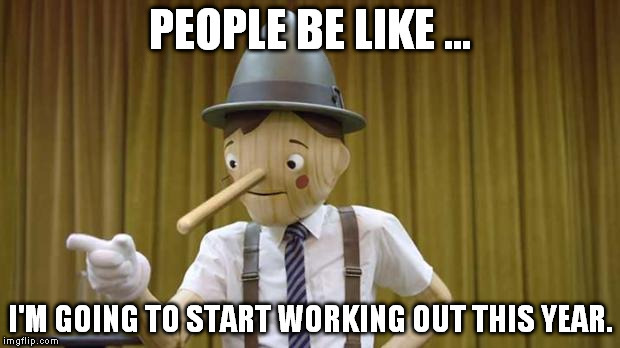 Ain’t no rest for the wicked, at least that’s what they say. But what about the good? Beauty sleep for everyone? Mull it over and get cak to me! There are moments when I’m sitting over there, in my easy chair, philosophising about the next big theory of the arts, where I contemplate, and others where I instead sit down with a good book and consider another perspective – ever hear the expression one man’s truth is another man’s lie? Well if you haven’t then you might still be open to learn something. There are a lot of idioms out there about the concept of truth, dear readers. If the truth be known… a grain of truth, ain’t it the truth, bend the truth, fact is stranger than fiction, the gospel truth, honest to goodness, the naked truth, the moment of truth, truth will out, and the list goes on. Sometimes the truth is even hard to swallow. The truth is, when you are putting together all of the facts, reality bites. But that doesn’t mean you should share a bald faced lie either. Well, at least that’s what the author of this month’s 5 L’s Of Language would have you believe. Sam Harris is a best-selling author and neuroscientist, not to be confused with a neurologist, which people sometimes think he is. And he also believes that if a decision came down to a matter of ethics it would be his responsibility to share that reality with you, otherwise he would be making a lie of omission, which should bear the same weight as a commissioned lie. Have you figured out which book I read yet my friends? I’ll give you a hint, Pinocchio would probably be an expert at navigating a series of unfortunate events which stem from this practice. That’s right I read through the book Lying. Which is pretty much just a hard cover essay that was a breeze to get through, but a little bit harder to digest, given what Harris is recommending in his thesis. Effectively Harris states that we should all line up with his own personal philosophy of honesty at all times. This means avoiding lies when confronting serial killer child murderers, overweight spouses, and even coworkers. The only people who really seem to be exempt are spies, but they live a hollow life after all, one which is for a purpose far grander than they are capable of seeing. So white lies, lies of omission and everything else are unacceptable. Which is where the essay is ultimately flawed, but interesting. I would agree with Harris that we should avoid white lies whenever possible, but there are some circumstances which are far beyond the scope of certain groups (read: poor people, discriminated minorities etc). And dealing with people with failing health is far more complex than the feelings of the ill versus the feelings of those who are left behind. Not all have the benefit of choosing who they interact with, but perhaps there are some lessons within. Don’t get me wrong, I was thankful for this gift. My parents bought it for me this past Christmas because they know how much I love to read a good critical essay or philosophy book. And this book got me thinking, you see creative cuties, I have this theory that the reason why one man’s truth is another man’s lie, and I’ve spoken about it before. It’s a consequence of this ability we all like to believe we have, called common sense. Harris is a victim of wrong thinking, but his heart is almost in the right place. If only he could get a broader perspective, maybe then his opinions might make more sense – at least, that’s my theory. Labels are a double-edged sword, if you ask me. They can provide you with valuable information about products, people, and places. But sometimes they are too simple and limiting with their direction. Specifically when it comes to imposed labels we make for other people and ideas. What many call common sense, I call limiting perception. When we think on these labels of society, we might gain better perspective into our own assumptions and the world around us. Which is why I chose to read a book in the LABEL category this month. I wanted to think on something we are definitely taking for granted. My goal with this of course is to share information with you that might help you avoid mistakes, stimulate your mind, and encourage you to think outside of your typical modus operandi. Lucien X. Polastron, The Man Who Read Too Much? Lucien X. Polastron is a French writer and historian who has focused his attentions on paper, books, the process of writing, and the history of libraries. When the National Library of Sarajevo was destroyed in 1992, it triggered his research into the history of libraries and the many examples of libraries which have been destroyed. This is something he had previously observed while working on research of history of paper. His two most famous books are Books on Fire: The Destruction of Libraries throughout History, a historical survey of the destruction of books from Babylonia through to modern society, and The Great Digitization and the Quest to Know Everything, which examines the consequences (both good and bad) of the digitization of books. Polastron posits that while the digitization of books is an excellent way to move forward the exchange and breakdown of knowledge, it can very easily creates parallels between book burning by restricting access to books and destroying their autonomy. Effectively removing the idea of free books altogether. For instance, if internet service providers charge for their services and publishers hold the rights to books, who polices the quality and authenticity of the information being shared. After all, if libraries become obsolete, that means that local governments will have to fund services which they cannot control or leave very easily. It is up to us to not only move forward with technology but to also be conscious of and protective of the accuracy of these words. It’s books that feature intelligent content and do not dumb down their theories for the reader which allow for proper mental exercise. And while this book is now a decade old, and we still have access to free information, the thoughts which echo throughout are still cautionary and relevant for a globalized marketplace. Let’s close out this post without resorting to simple labels. Of course digitization has great many benefits. It opens up the world and creates a level playing field of information for many who don’t have access to money. Our education levels are increasing all over the world as this technology flattens and creates transparencies. With that said, I’m going to leave you with this thought. If knowledge is power, then who is holding all of the cards? I’m out of theories for today friends, but check back tomorrow when write something timely about Halloween. Should be spooky.